Event to be held on August 13, 2017 in Holbrook, NY. Suffolk County, NY - August 10, 2017 - In June, 2017 three bats collected in Sayville, Islip Terrace and Islip in Suffolk County have tested positive for rabies. Enhanced surveillance is still in effect for Huntington and Babylon towns which began in March 2016 due to a confirmed case of a rabid raccoon trapped in Hicksville last year, the first rabid raccoon on Long Island in about nine years. Rabies is a viral disease that can be transmitted from infected mammals to humans or pets. If untreated, rabies invariably leads to death. 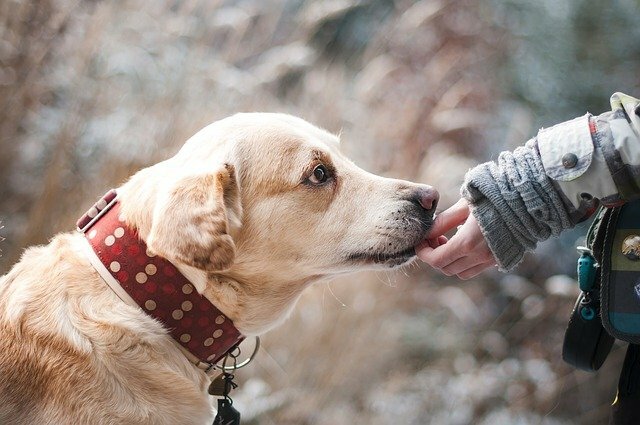 People and pets can get rabies if they are exposed to the saliva or nervous tissue of a rabid animal through a bite. It is also possible, although rare, that people can get rabies if infectious material, such as saliva, from a rabid animal gets directly into their eyes, nose, mouth or a wound. New York State and Suffolk County law requires that all dogs, cats and ferrets be vaccinated against rabies. Vaccinating your pet not only provides protection for the animal, but vaccinated pets act as a barrier to keep the rabies virus from spreading between wild animals and people. It is very important to make sure that these animals, as well as livestock and horses have current rabies vaccinations. The Suffolk County SPCA is a private, nonprofit, charitable organization and the voice for animals in Suffolk County. We do not receive taxpayer or public funding and we must rely on the support and generosity of donors to exist. Please help us to provide a better life for pets and other animals in Suffolk County. Donations can be mailed to: Suffolk County SPCA, P.O. Box 6100, Hauppauge, NY 11788-0099 or by logging onto our website www.suffolkspca.org. 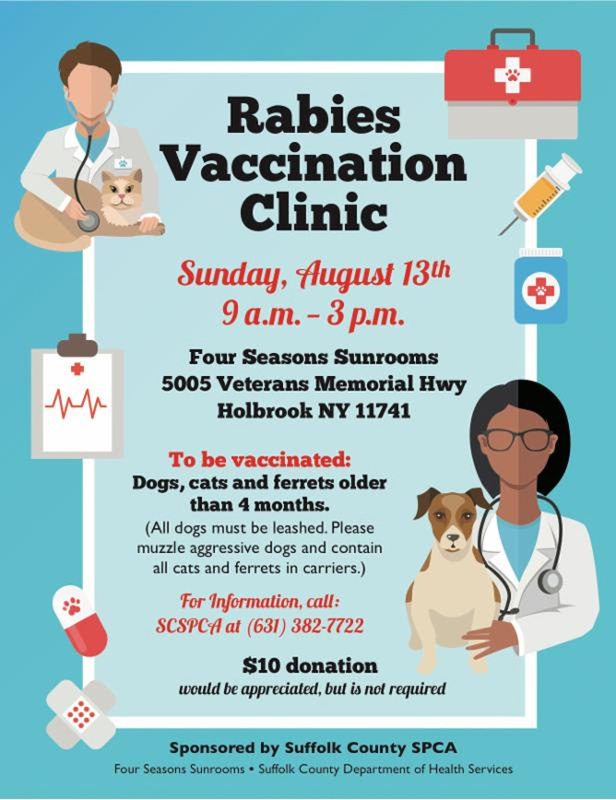 Subject: LongIsland.com - Your Name sent you Article details of "Suffolk County SPCA Holds Annual No-Cost Rabies Vaccination Clinic"